Allen Wheeler was born October 11th, 1919 in Knoxville, Tennessee. He served his country in the United States Army in the European Theater during World War II. He was an automatic rifleman and a hand to hand combat instructor in the Army. 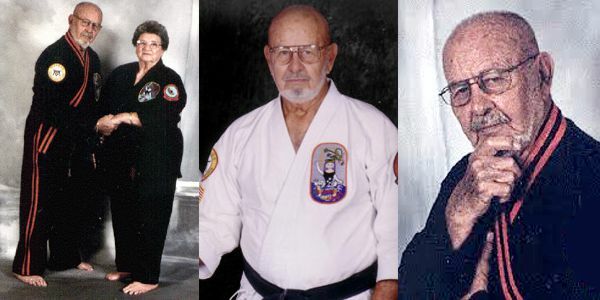 For over 57 years Allen Wheeler studied and taught self-defense and was a historian of karate. 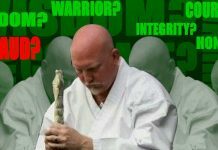 As a Karate Master, Allen Wheeler was both a leader and a positive role model, using karate to install in people of all ages, races and background, the values of self-improvement, goal setting, hard work and good citizenship. 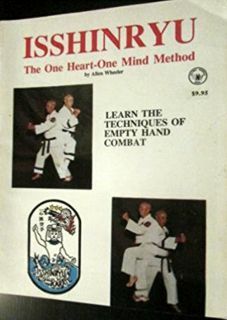 Allen Wheeler began his training in Isshin-ryu karate in 1961. He opened Wheeler’s School of Karate in 1971 in Powell, Tennessee. He started the first Fellowship of Christian Athletes huddle in a Karate School in the United States. Allen’s family is active in karate, his wife, daughter, son and grandson are all black belts, making three generations of karate experts. 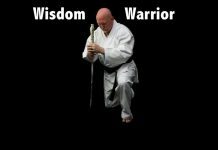 Master Wheeler founded the Okinawan Karate Do Union in 1987; it is an association of Martial Artists with members across the United States and many countries around the world. 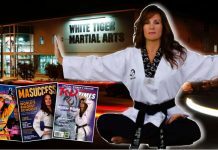 Internationally recognized martial arts experts from all over the world would visit and train with Master Wheeler and his students in Powell, Tennessee. The techniques and theories taught and practiced at his school made it one of the most advanced, martial arts instructional facility in the United States. The depth of his knowledge and the size of his character made him a true master of Isshin-ryu Karate. Allen Wheeler students saw him as a leader in life as well as in karate, a man who willing helped people through the most difficult challenges in life. Many of his students trained under his direction for over 30 years. They said, “The depth of his knowledge and the size of his character made him a true master of Isshin-ryu Karate”. Master Wheeler explored the connection between martial arts and traditional Chinese medicine using what he learned to help people with a wide variety of ailments. Master Wheeler encouraged his students to study Chinese Medicine to help find more ways of helping others. Many of his students developed skills in healing. Some work with cancer patients and help relieve pain and the side effects of chemotherapy. Others work with hospice groups and Church based healing organizations. Many others help others in daily life with whatever problems that arise. His students tell of how this teaching changed their lives for the better. Master Allen Wheeler passed away on February 14, 2005 at St. Mary’s Hospital in Knoxville. He was 85 years old. RIP Master Wheeler. You will always be loved.